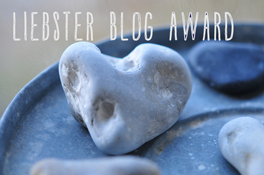 Liebster Blog Award Nominations by Treyton’s Posse. When I started blogging I didn’t know what the response would be to my writing. I certainly hoped people would find value it what I said but that had nothing to do with why I began to write. I have a mission to carry out but it is also a way for me to process things. However, when I received the nomination for the Liebster Blog Award from Little Bird’s Dad I was really honored; knowing that other bloggers, my peers, find value in my blog is very satisfying. 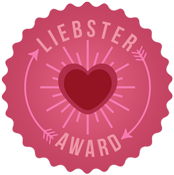 The Liebster Blog Award is a “peer award” given to upcoming bloggers who have less than 200 followers (as best you can tell). Every award that I am familiar with has a set of criteria and/or rules that must be filled in order to receive the honor. The Liebster Award is a little different; most of the requirements for the award must be completed after the fact. They are simple rules that can be approached from many angles. The first step is to thank the Liebster-winning blogger who nominated you and create a link back to their blog. I was nominated for the Liebster Award by Little Bird’s Dad. Post 11 facts about yourself. These can me anything. The goal is to be able to get to know the person behind the blog a little better. You can check out the 11 facts I post about myself by following this link. The death of Robert Ethan Saylor is terrifying for the Down syndrome community. Insights into the mind of a blogger. Down syndrome is not the issue, prejudice is. Create 11 questions for your nominees to answer. Here are the questions I am presenting to you. When you were a child, what did you dream about being when you grew up? Assuming money was not an issue, where would you travel to and what would you do when you got there? What do you prefer and why – Apple iOS or Android? Baseball is widely known as “America’s Pastime.” Do you agree? If not what do you think should be considered America’s Pastime? Your kids are in bed and your spouse is off doing something else. You have the television to yourself and the DVR has been recording everything for the last week. What is the first show you watch? What would you consider to be the greatest invention ever? Why? What is the one thing you cannot stand to be without? Who is the greatest superhero of all time? Choose from: Batman, Spider-Man, or Superman. The fifth step is kind of like passing the torch. This is your opportunity to recognize 11 blogs that you think deserve some recognition. It is up to. You get to pick the blogs for any reason as long as they have less than 200 followers to the best of your knowledge. Once you have made your selections, create a post like this one on your own blog that explains the award process. Then notify each of your nominees by leaving a comment on their blog with a link back to the post you created. Here is my list of nominees. They are listed in alphabetical order. Check them out; I believe these 11 blogs have something of value to offer you. 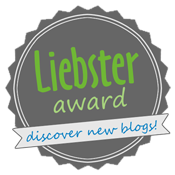 The final step in the Liebster Blog Award process is to display the award badge on your blog. There is a lot of flexibility when it comes to the actual badge, you will want to choose one that fits the style of your blog. I did a web search for images and then used those to create my own design. Feel free to use one of the images below or find your own. Most of all have fun with this! I am honoured that you think my blog is award worthy! Thank you for nominating me! I will be working on answering those questions! Thanks again! And I really enjoy reading your blog and reading from a father’s perspective. I look forward to reading what you have to say about the questions. Eeeep! Thank you, I’m honored, really. Although, now I’m feeling so much pressure to think of witty, thought provoking answers. Ooooh, the burden! Just be yourself and it will all be good! This means a lot. Thank you so much! I am anxious to sit down and starting writing my responses to the questions when I get back from a trip for work. Thank you. You bet. I look forward to hearing what you have to say. Wow, dude! Thank you so much for the nomi…nomi…nomination! *whoa, tough word* I’ll do my best! Happy to meetcha! You are welcome. I am looking forward to reading your answers. Thank you so much! I’m very honored! I’m working on the post now. I finally got my Liebster Award post (well at least one of two) done! 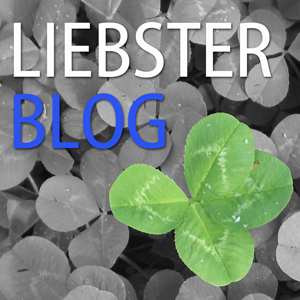 Rob – Are you working on YOUR Liebster Post?